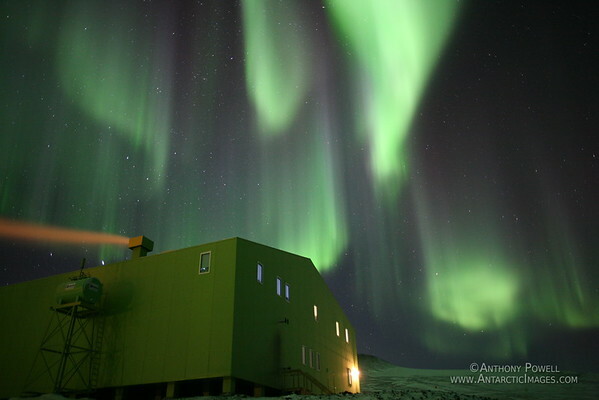 Aurora over the Hillary Field Center at Scott Base Antarctica. superb. do you offer prints of these images for sale? i would love to see either aurora someday. these pictures would be perfect in my study until then.